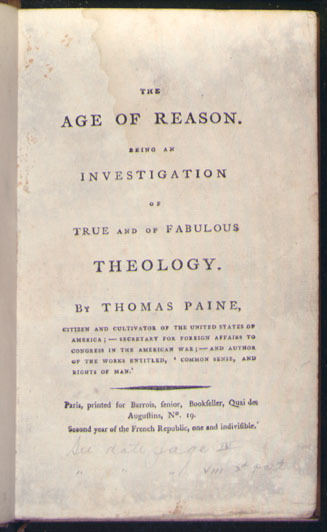 Paine, Thomas. The Age of Reason: Being an Investigation of True and Fabulous Theology. Paris: Printed by Barrois; London: Sold by D.I. Eaton, 1794. 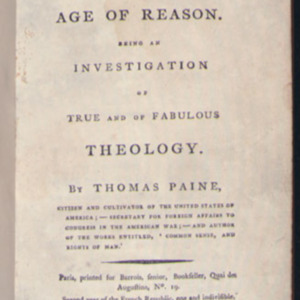 “Age of Reason,” University of Virginia Library Online Exhibits, accessed April 23, 2019, https://explore.lib.virginia.edu/items/show/589.